Triplex gets its name from the table with three sleek upturned arms which blend beautifully in a unique triangular symmetry. A dramatic visual point is created by the gap between the three elements. The arms are made of rich walnut veneer and boast taut forms. They provide a striking display and separate at the top to support the glass tabletop. Each of them is supported by a tapered steel structure which rises from the triangular steel base. 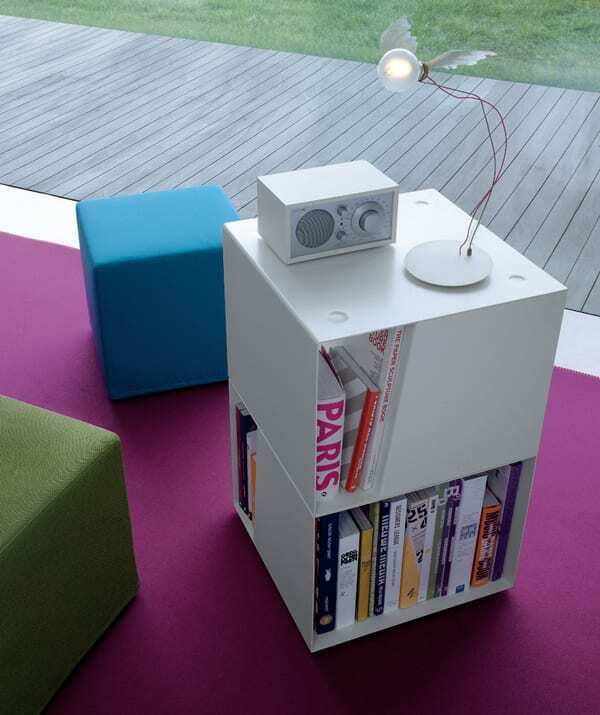 The steel base is gently bowed and beautifully balances the arms and top. Also available in the set is a lovely end table with a single arm. The small table accentuates the unique cocktail design and has the same mixture of materials. Geometrically striking, the Triplex Table Collection by Elite Modern makes a lovely update to any space. 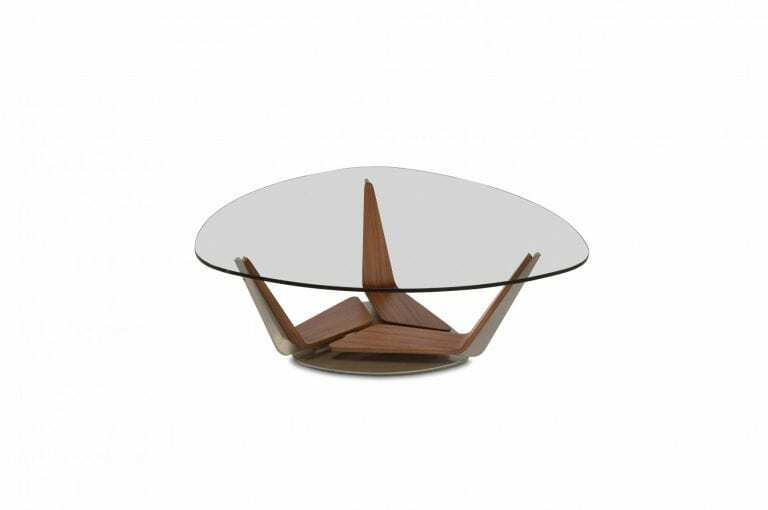 It shows off a thoughtful blend of the three most popular furnishing materials: wood, glass, and metal. The steel components are available in a wide range of powder-coat finishes and the walnut arms are also available in a range of finishes. Glass tables are a commonplace feature in homes. They update spaces easily and look great even in traditional setups. However, the secret lies in choosing the perfect one for your space. The wrong glass table can make your home look like a designer’s worst nightmare. The right one can make it look like the page of an interior design magazine. Get the Triplex table and bring modern style into your home. 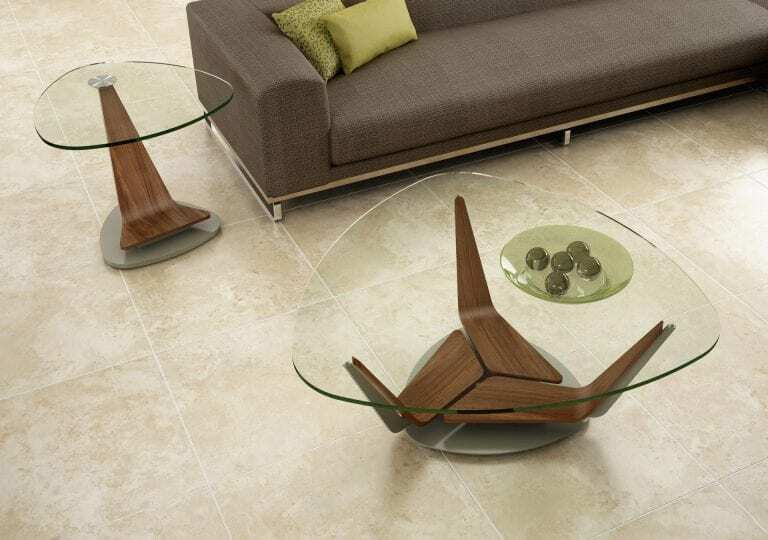 Wouldn’t this glass table look divine in your space?